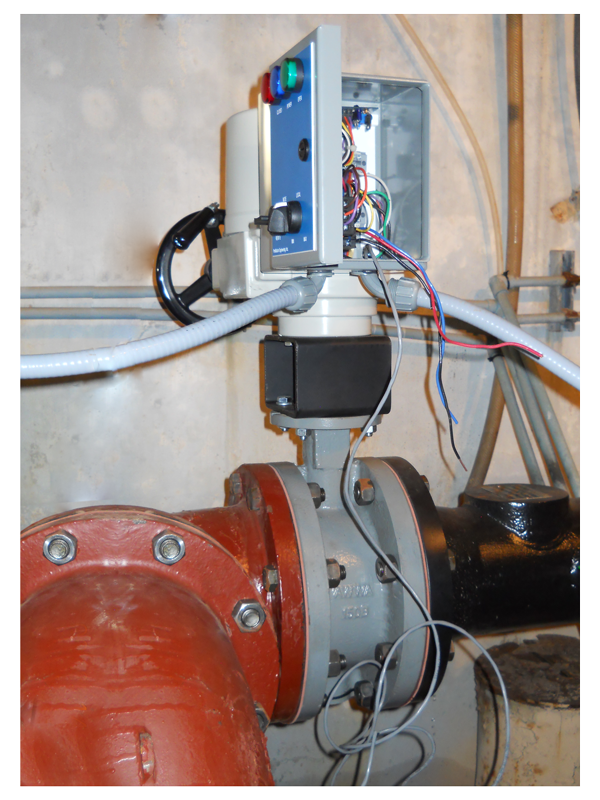 Three phase actuators can be a great option. In an industrial environment with three phase power readily available, there are several reasons three phase power just makes good sense. The main reason to use a three phase motor is that it runs more efficiently than a comparably sized single phase motor. This translates to the motor running cooler, with a longer life, and most importantly, it will use less electricity. Whether you require single phase or three phase actuators, ProMation Engineering has you covered with available quarter-turn actuators. A three phase circuit provides three incoming lines of power and the motor does not require a starting winding, compared with a single phase circuit which has one power line and both starting and running windings. This allows a three phase motor to be lighter and smaller than a comparable single phase motor and still output the same amount of work. A typical single phase motor will require a start capacitor to provide additional torque to bring the motor up to speed quickly. Three phase motors do not use start capacitors. It is important to note that motor connection points inside the actuator differ between single phase and three phase actuators. An actuator with a three phase motor will require the components needed to accept and control three phase power (see power distribution below). Three phase power wiring can be more difficult and expensive than is single phase power for a new installation. This is the most common aversion to using three phase actuators. If reliable three phase power is already available it makes sense to explore the benefits of a three phase actuator. Companies with multiple actuators can save a great deal in electrical costs by using three phase actuators. is where the two products differ significantly. A single phase actuator requires minimal power and signal wiring as 120vac controls both control board and motor. A three phase actuator requires a phase monitor to protect against phase reversal, phase loss, undervoltage or overvoltage situations. Power handling relays are required to control motor power for starts. A transformer may be required to power the control board within the actuator. ProMation three phase actuators can be ordered to operate with field installed control components or with a ProMation motor control center (MCC). The MCC is a complete power handling and control solution which includes a phase monitor, power handling relays, local controls, and indicators in a NEMA 4 or NEMA 4X enclosure. These can be attached to the actuator or the customer can mount them some distance away such as in the case of an actuator located in a ceiling alcove. Many customers highly value the simplicity of our complete MCC solution. © 2019 ProMation Engineering, Inc.